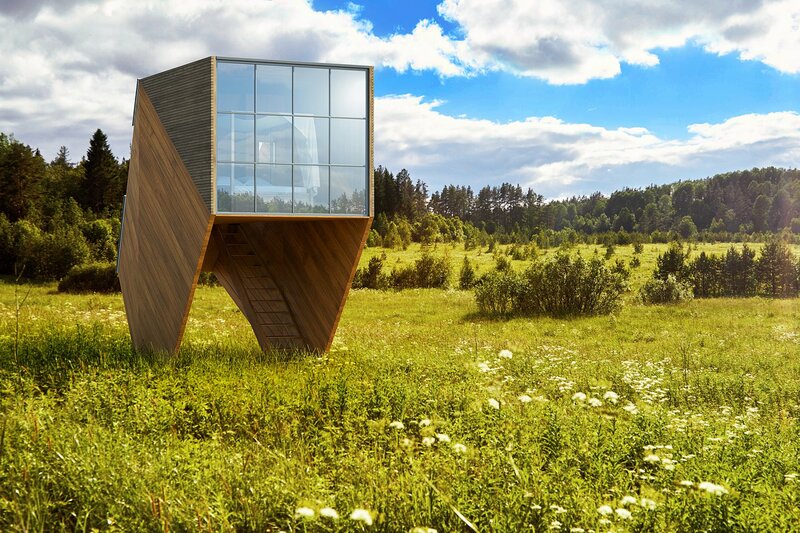 With its 12.25 sqm large glass bay , the Cyclope Tree House is a wide open eye to watch nature. Firmly anchored on its two legs, it dominates the scenery from a height of 3.5 m. Ambroise Maggiar, who designed it, wanted it to look airborne, gangly, dominant. It can be set up anywhere, made into a room, a study to write one’s novel, a sound hall to listen to Mozart… or play his music, a refuge for reading, dreaming, loving. 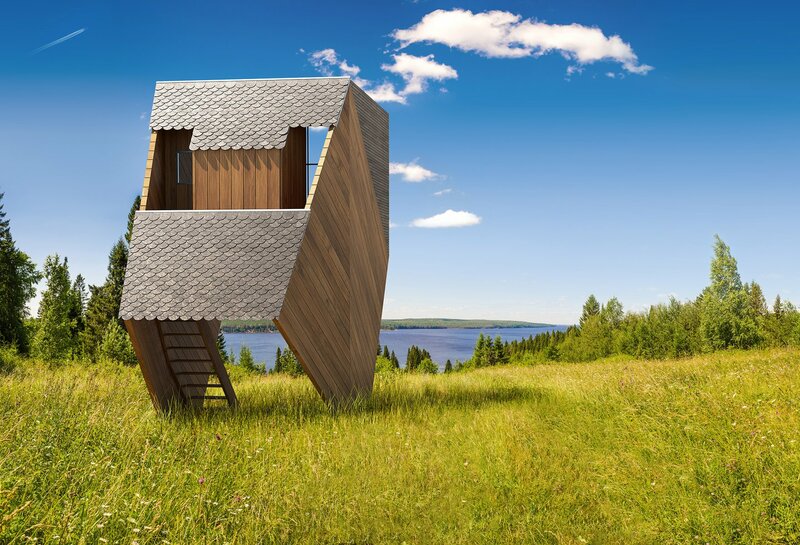 The Cyclope Tree House is built from Red Cedar, a rot-free timber that requires no maintenance. The interior area is 16.50 sqm, with an added 2 sqm access terrace on the back. It is accessed by straight stairs. It is entirely insulated, the large metal bay window is double-glazed.